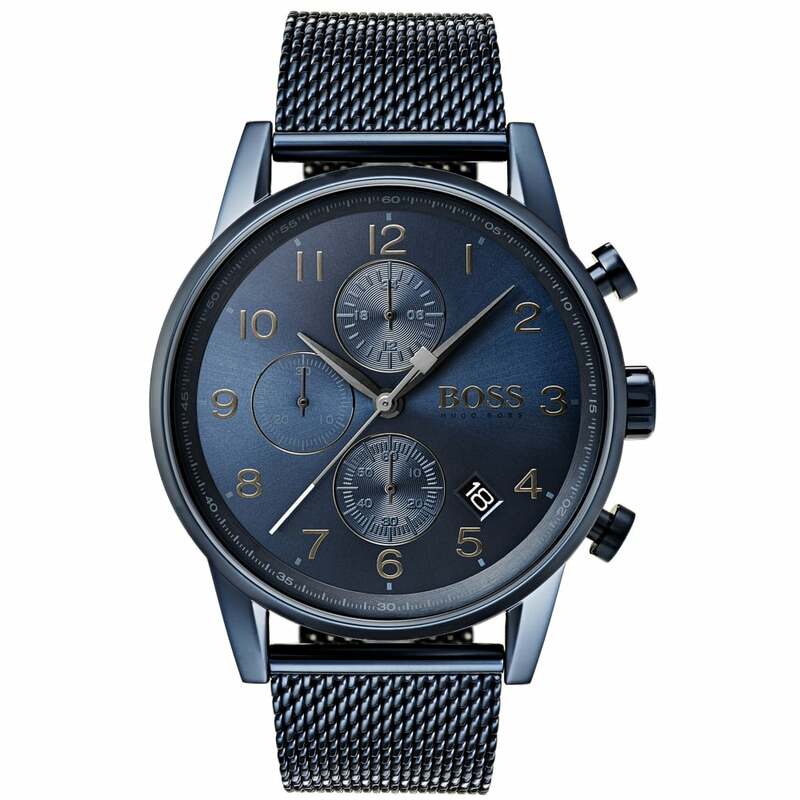 From Hugo Boss the men’s Navigator Watch 1513538 is available to buy at Hillier Jewellers. Featuring a Blue PVD steel case and strap with blue dial along with three hand chronograph movement. The Hugo Boss Navigator Watch 1513538 comes with official two-year warranty and Hugo Boss gift box.